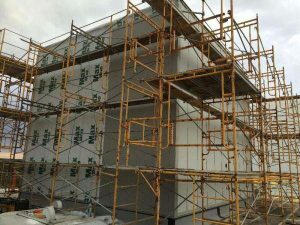 Advanced Metal Fabrication provides composite wall panels for a wide range of commercial and industrial applications throughout the Midwest, and continues to build upon our reputation as an industry leader in both production and service. We truly are committed to offering our clients an exceptional customer experience that will not be outmatched by our competitors. Why Choose Metal Wall Panels? 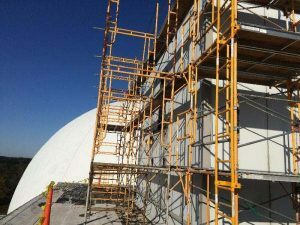 Through our consultative process, Advanced Metal Fabrication can walk you through the process of selecting the right design combination for your composite wall panel installation project. 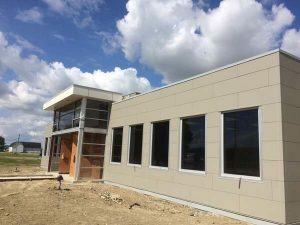 Our goal is to show you how seamlessly metal wall panels can be integrated into you entire building structure. 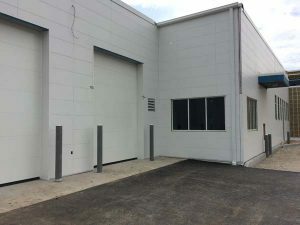 Proudly serving the Toledo and the Great Lakes region with superior metal fabrication and installation services, Advanced Metal Fabrication has the experience and capabilities needed to complete your building project with ease. Simply call 419-891-4030 today to learn more about our composite wall systems and discover your possibilities when you work with Advanced Metal Fabrication.